At this place the trail goes down the hill. 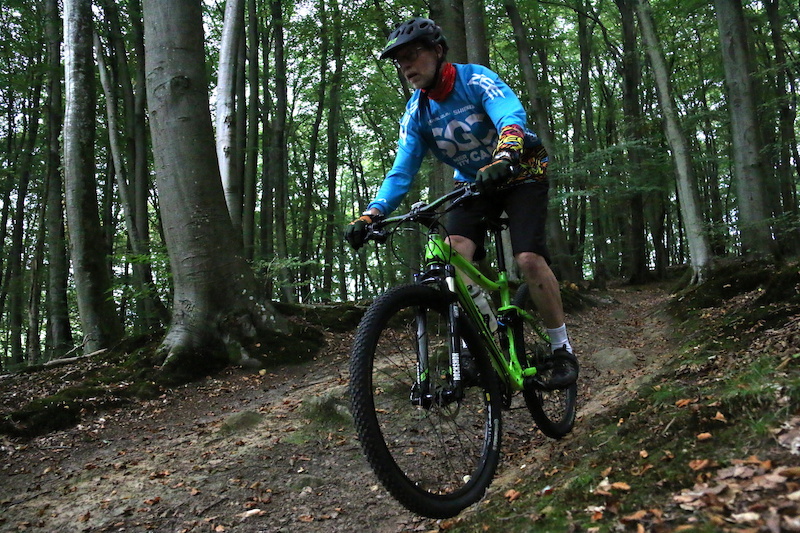 Not too difficult, even for beginners, but a lot of fun and nice to improve your technical riding skills. On the way down there are some more technically challenging spots and weather conditions may turn these more difficult. Enjoy riding, but put safety first!